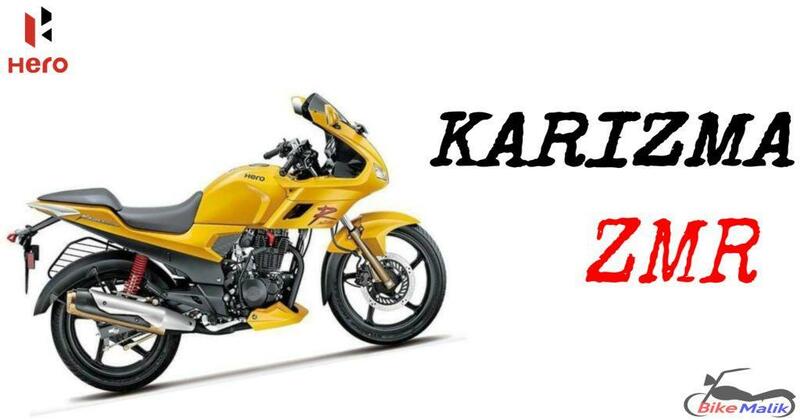 The new Karizma had launched under the bike giant “Hero”. 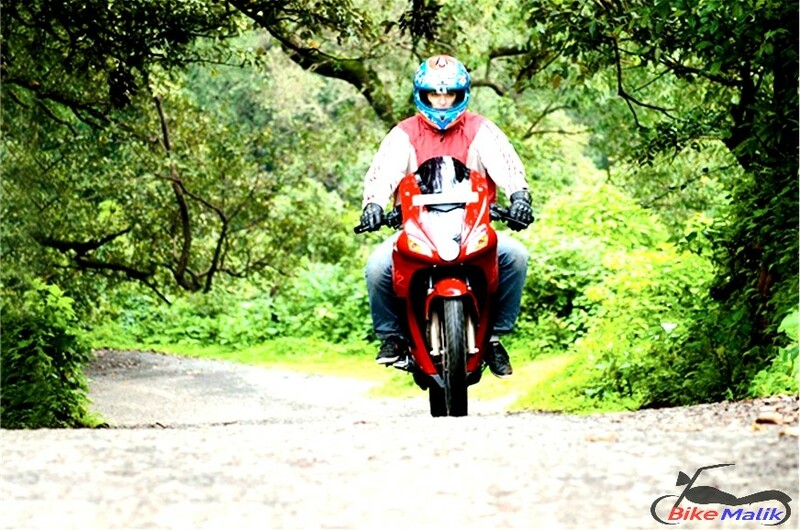 The Karizma model was first debuted in 2003 and served to the Indian customers. 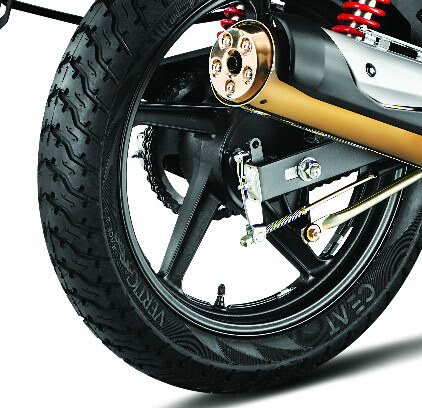 The new Karizma ZMR was sculpted with all the zeal and aggression. 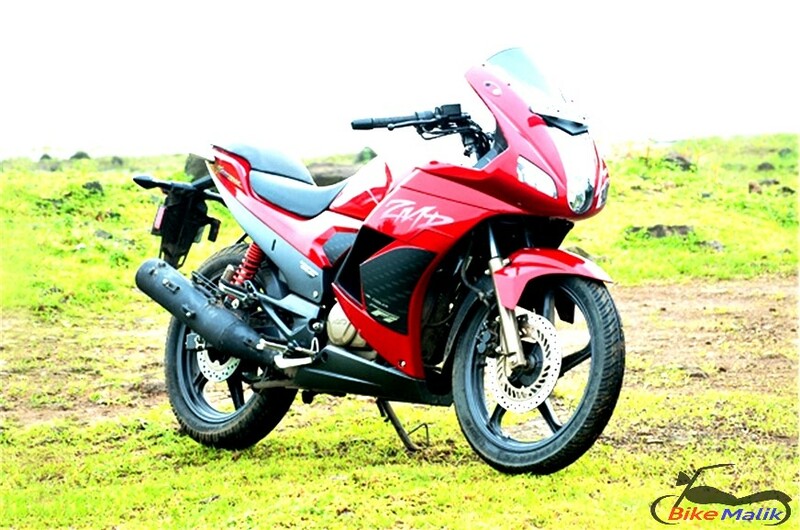 The Karizma gets a revamped design with major updations. Lets’ see how this moto was sculpted. 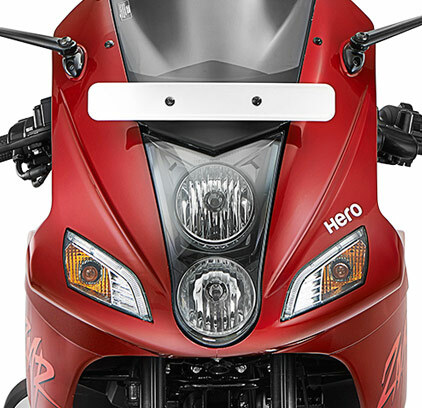 Hero offered the Karizma ZMR in three paint schemes as Blazing red, Panther black, Vibrant orange and Spotlight white. As of the performance, the engine gets powered by a 223cc single engine that churns out a maximum output of 20.23 PS @ 8,000 rpm and a torque of 19.7 Nm @ 6,500 rpm. 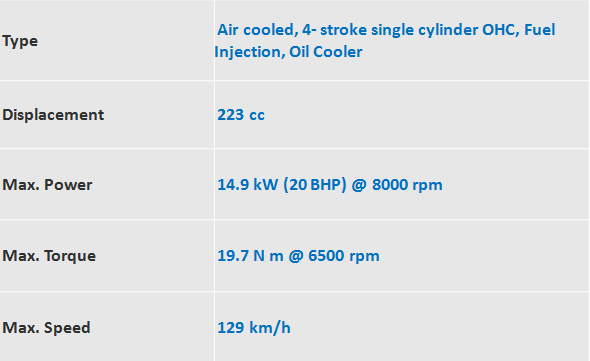 This bike claims a top speed of about 127.83 km/h whereas it easily gets a 100 km/h mark in just 13.35 seconds. Disappointingly, this new engine gives a slight discomfort when riding at high speeds, as the rpm increases the rider experience a vibration in palms. 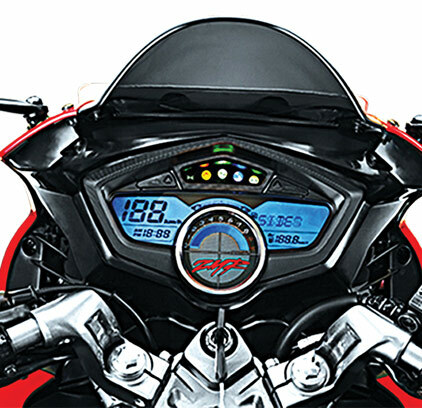 The new Karizma ZMR returns an efficient mileage figure of about 39.1 km/l in the city and 51.6 km/l on the highway. 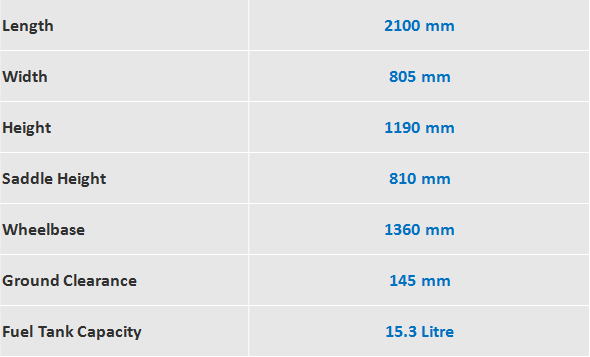 Finally, this moto gives an efficient mileage figure of 42.2 km/l which was a decent number to be considered. 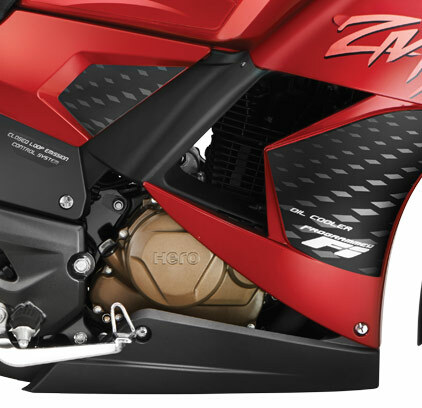 The new ZMR features a carbon sticker from the front to the rear of the sharp tailpiece which appears to be decent and trendy too. It looks to be good and unique and also has the ability to contend with. 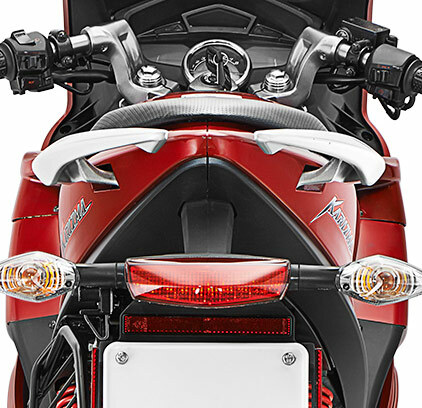 The vertical headlamps and the rectangular indicators (with DRL) also doesn’t enhance the bike. The overall bike looks decent with robust build quality, at the same time needs improvement too. The new Karizma ZMR features a diamond frame as the previous model, but at the corners, the rider may experience a discomfort and feels the bike is lengthy too. The wider tyres provide a stableness in the middle of the corner but, the suspension should be reviewed to ease the comfort levels. The ride quality is the most talkative highlight in the bike. Thus, it provides a decent and quality ride and surely it is an alluring model to be considered in India. 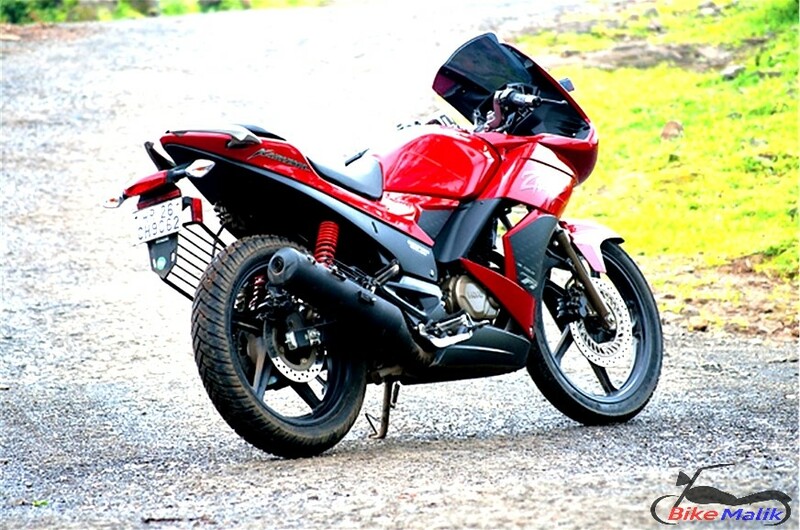 The Hero Karizma ZMR is a 50-50 bike which needs a revisement to increase the sales and to provide a quality piece to the customers as well. 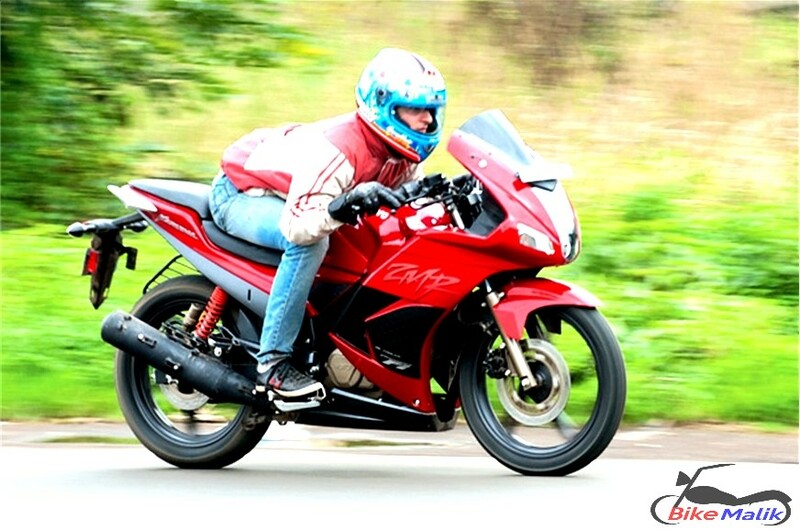 Though it receives some revampments among the previous model, the bike maker should consider the feedbacks upon this. Finally, it is powerful moto with few drawbacks.